We are cleansing our database to make sure that the information we send you is relevant and up to date. Submit your details below by Friday 21st April for your chance to win a £50 Amazon gift card and £100 credit for Quasi Vivo®. All collected data will only be used by Kirkstall Ltd and will not be shared with any third parties. If you answered yes to the above, please tell us a bit about your work - e.g What was the research focus? What chambers did you use, What cell types did you use, did you publish? If you answered yes to the above, please tell us a bit about your work - e.g What is the research focus? What chambers are you using, what cell types are you using, do you expect to publish? Please provide basic outline of your planned research e.g What will the research focus be? What chambers will you require, what cell types will you be using? 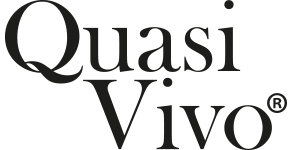 Quasi Vivo® is commercially available and used in 70+ labs worldwide, getting started is easy and cost effective.